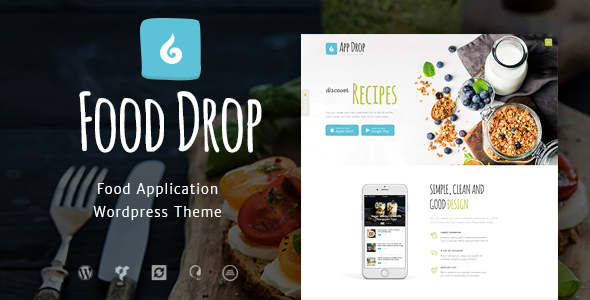 Food Drop is a stylish and powerfull WordPress theme with a design created for online food ordering and food delivery application. You can also use the them as just a food / lyfestyle blog, online cookbook or recipe website. Or you may want to turn it into a restaurantâ€™s / cafeâ€™s website. So thereâ€™s so many options to use this colorful WordPress theme! The theme comprises the most useful features to ensure your food delivery business runs smoothly: Unique layout turns your food delivery services app into a real standout; WPML compatibilty to create multilingual presentations of your business; Full responsiveness to give your customers a chance to reach you via their mobile devices and many other handy functions and options to create a strong virtual presence for your business!